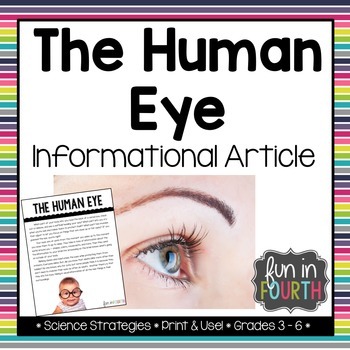 In this article, students will learn all about the human eye. You will get a 2 page article that requires no prep and is ready to go! 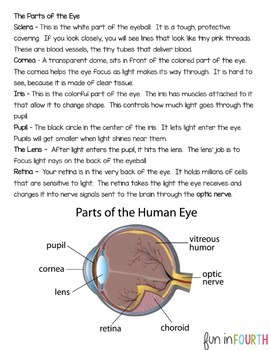 It contains full color images and diagrams to help support the text. 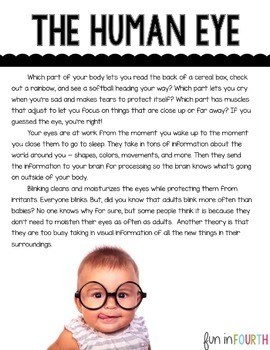 There is space between the lines for students to jot notes and interact with the text if you desire. These look great printed in black and white on colored paper too! This file is also available with a corresponding Clicker Book. Click here to see that version. Do not purchase this if you are purchasing the Clicker book version, as it is included in that download.